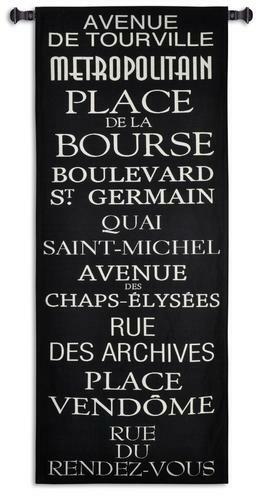 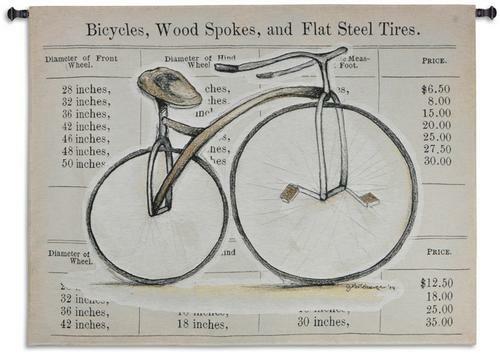 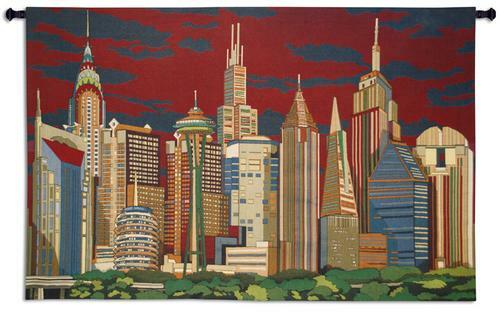 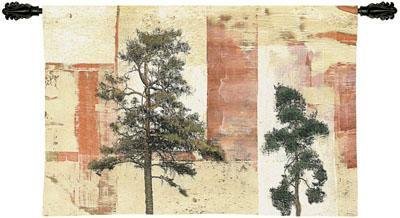 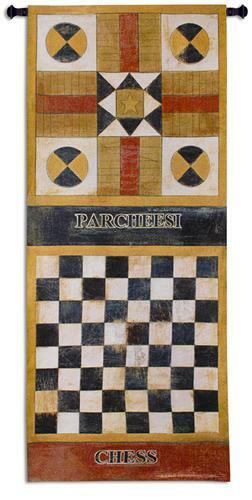 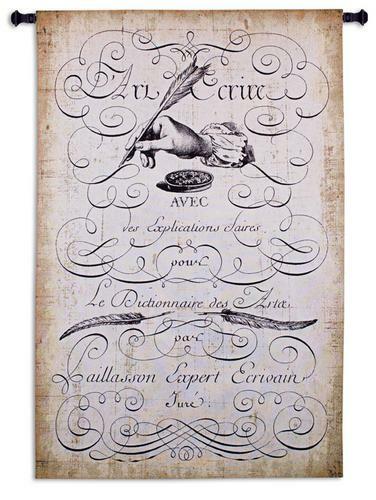 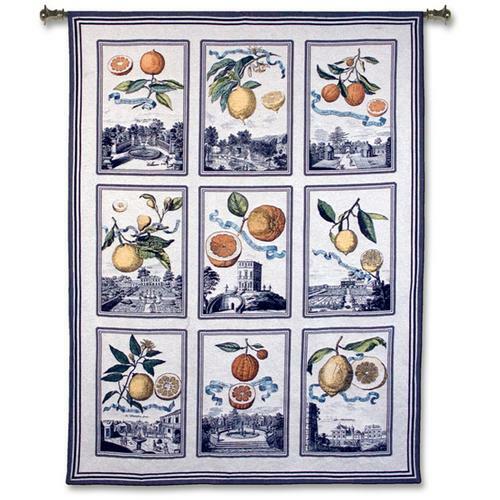 In a technological age, one cannot ignore the fine reproduction tapestries produced on jacquard looms. 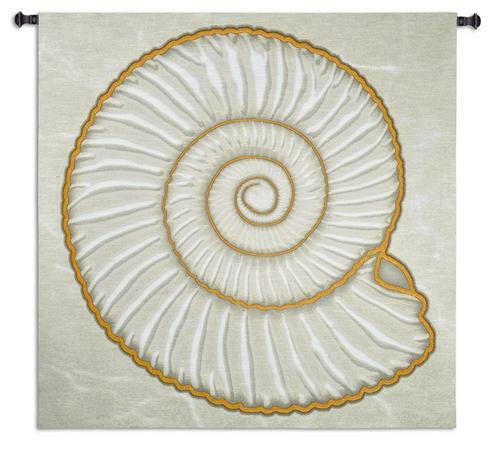 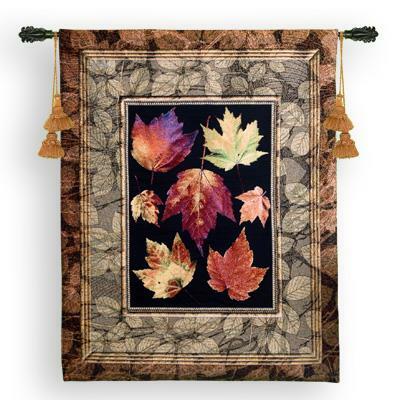 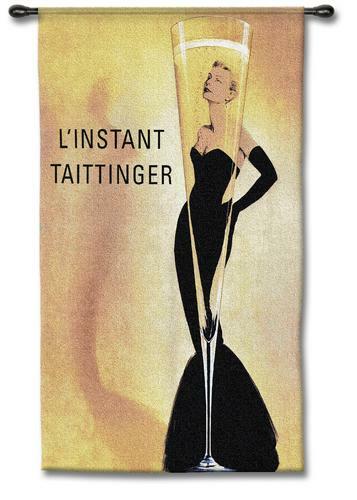 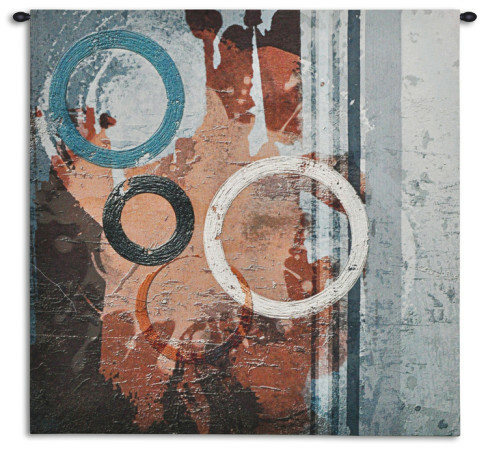 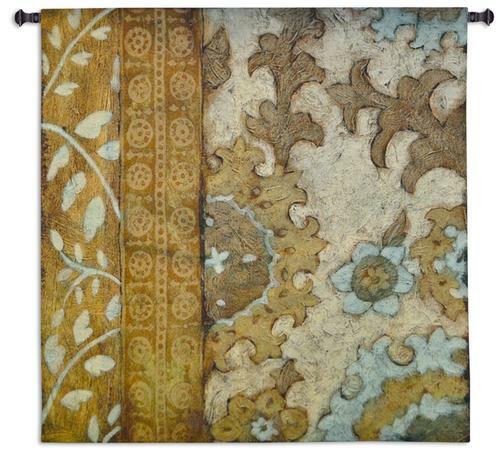 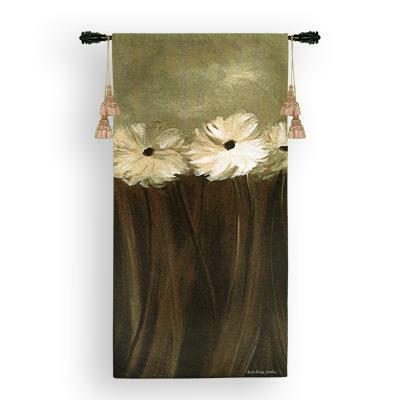 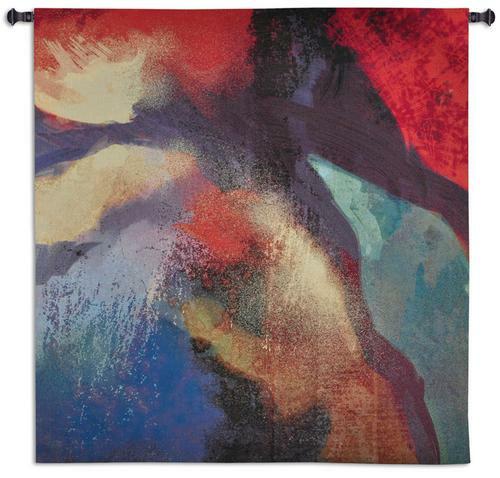 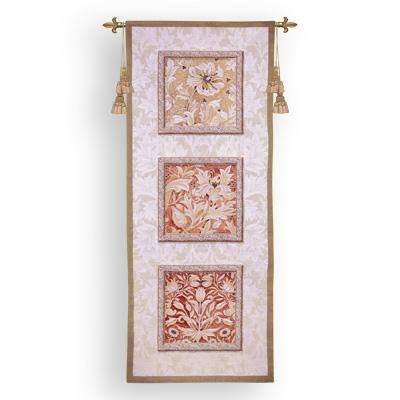 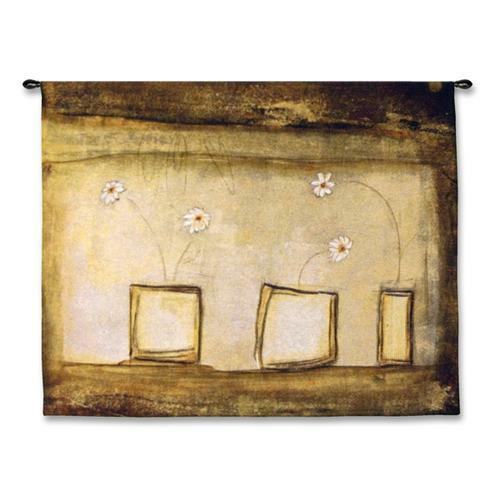 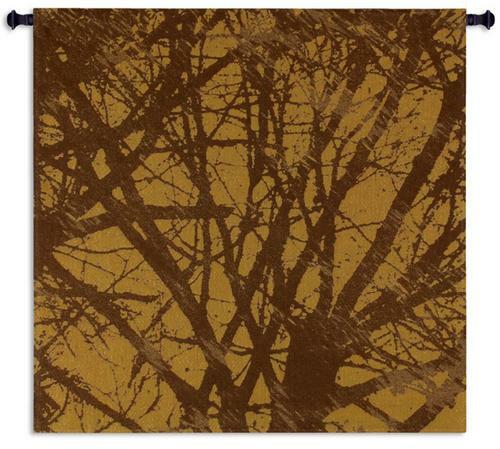 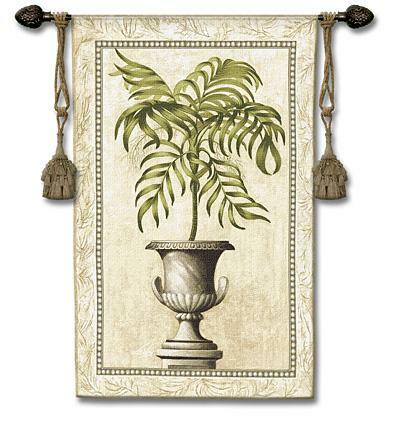 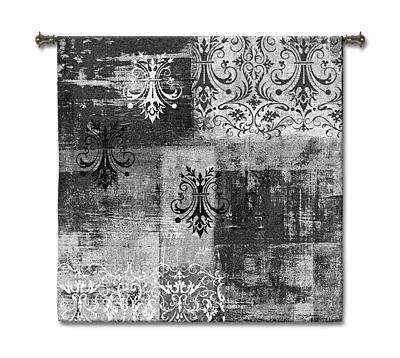 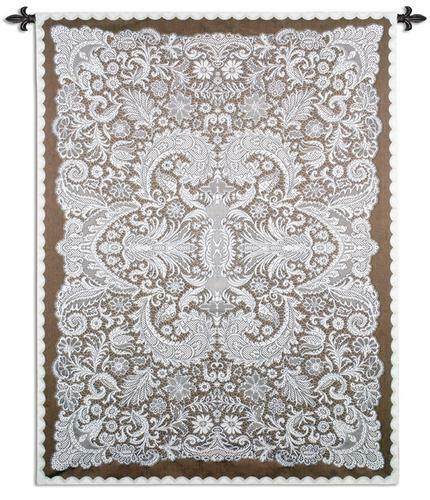 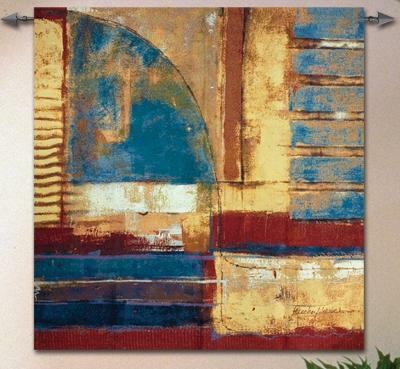 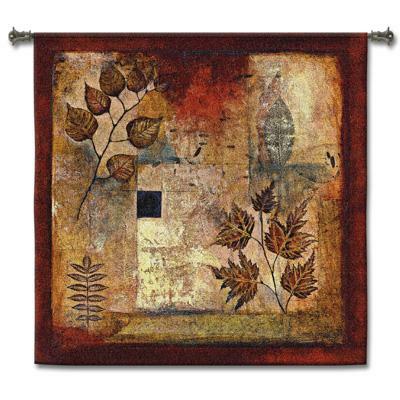 The softness and pliability of contemporary tapestry wallhangings adapt well to modern interior decoration and provide an alternative to printed furnishing fabrics. 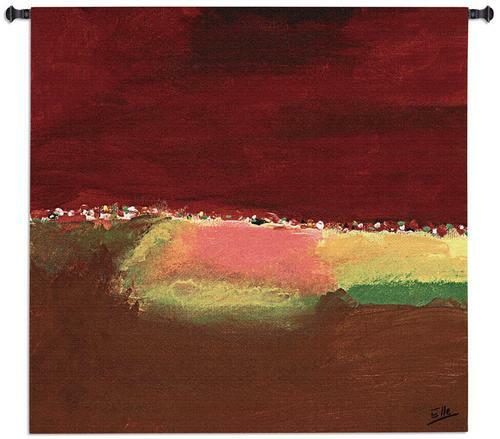 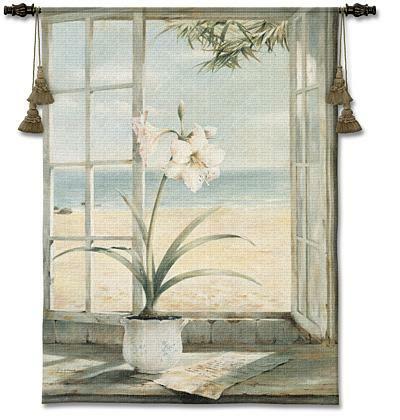 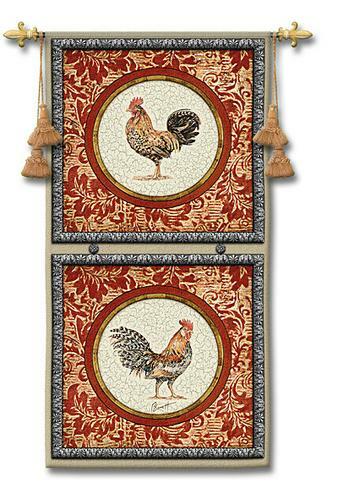 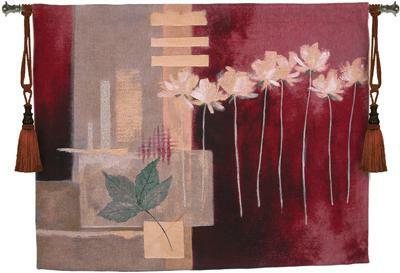 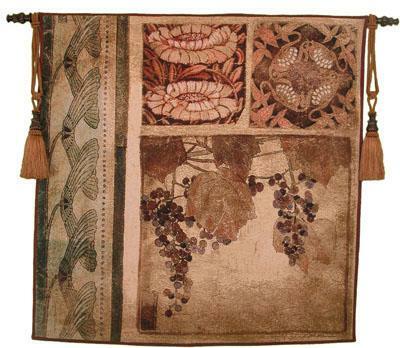 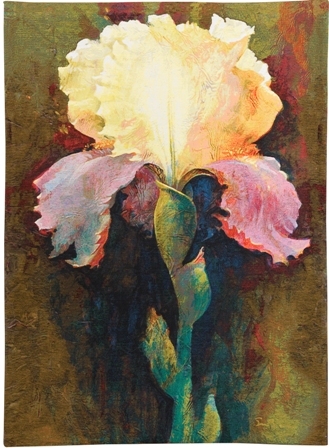 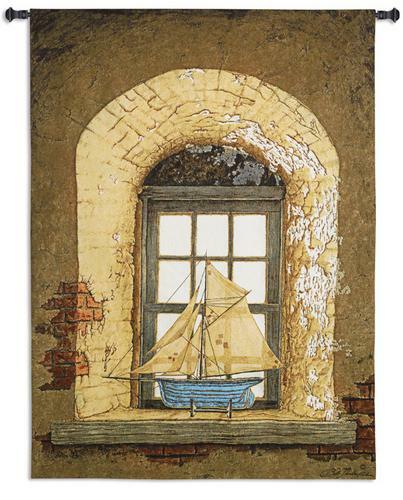 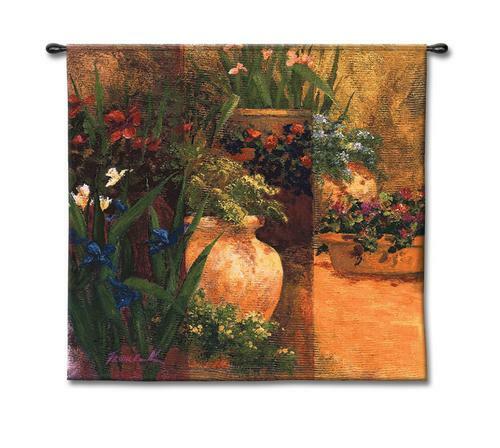 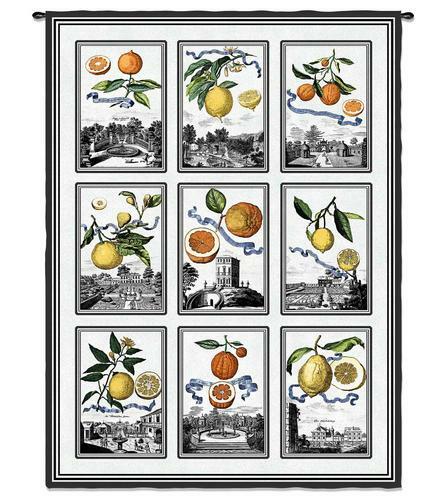 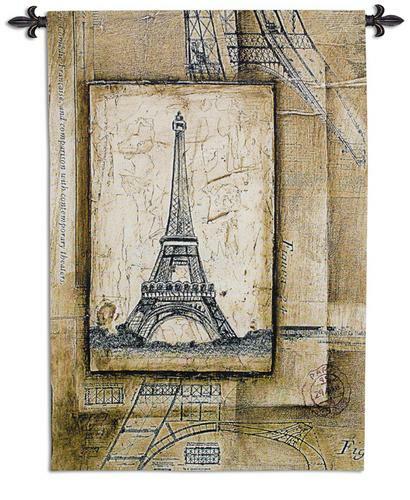 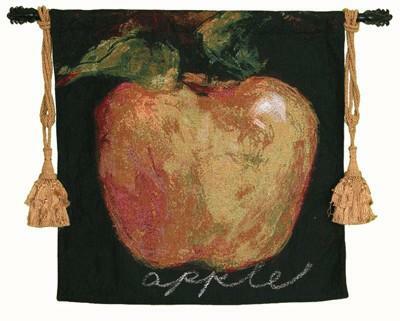 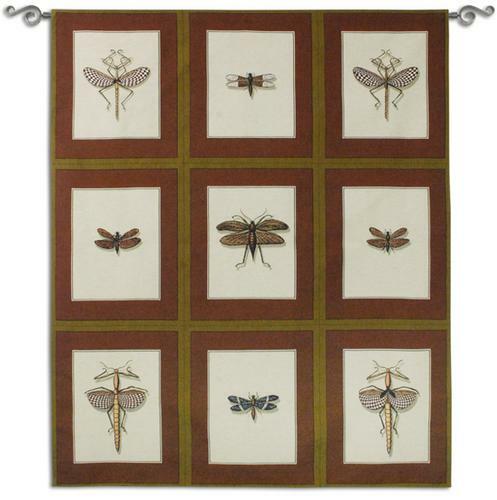 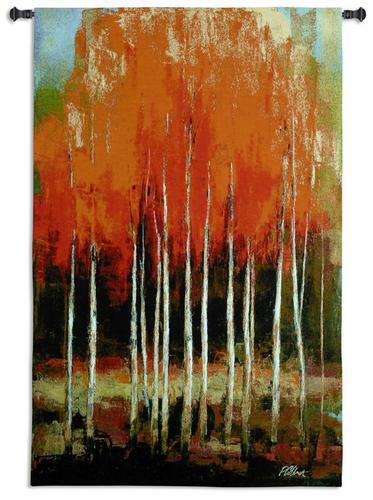 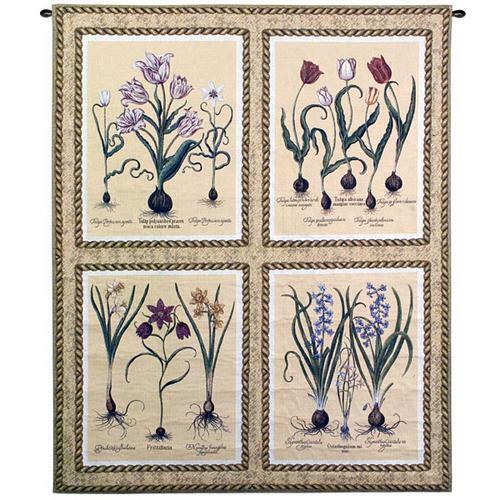 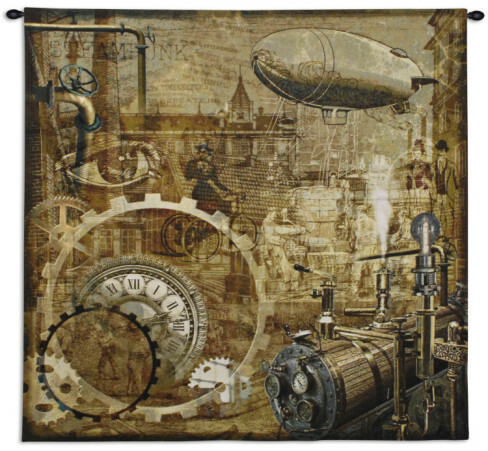 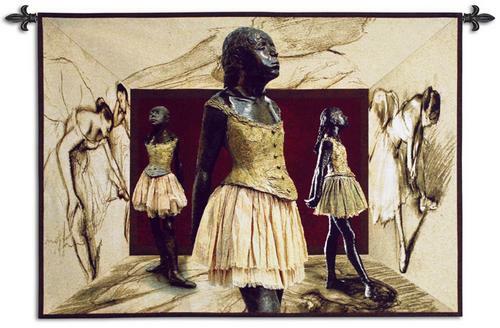 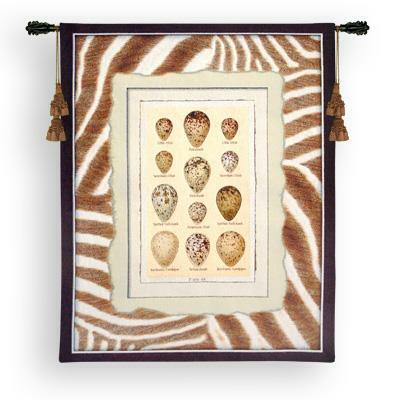 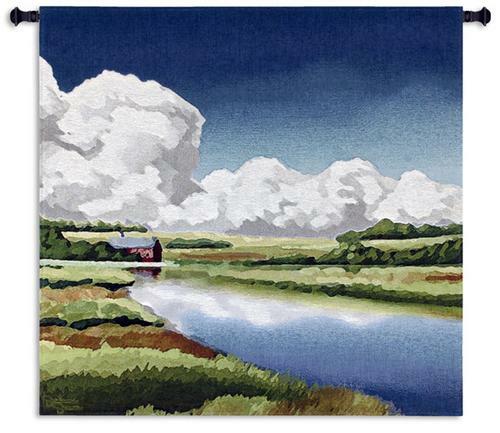 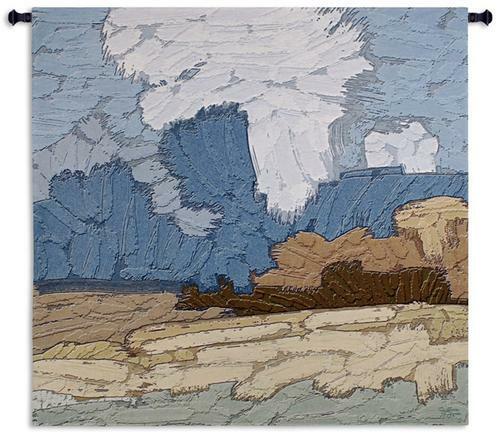 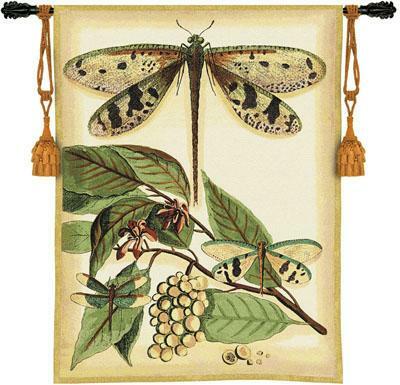 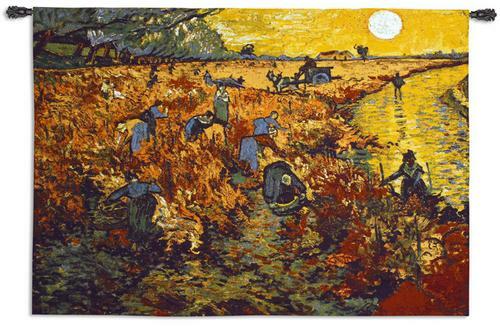 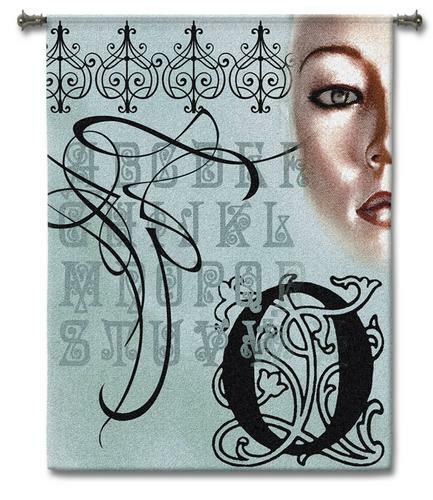 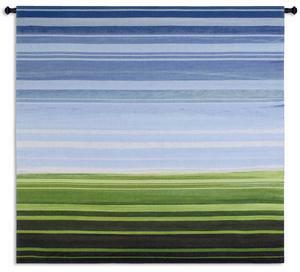 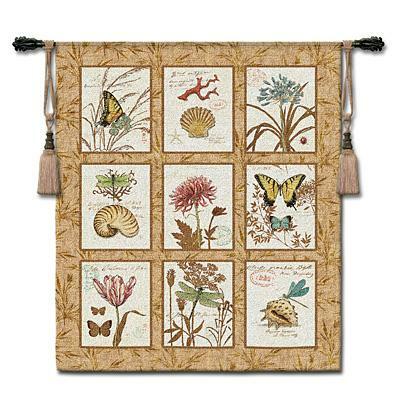 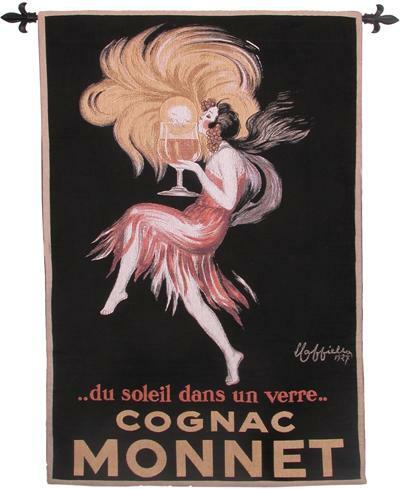 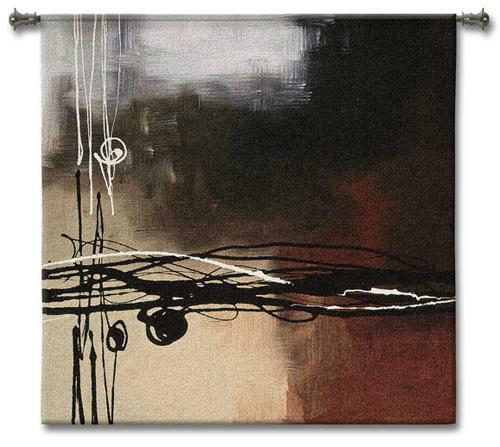 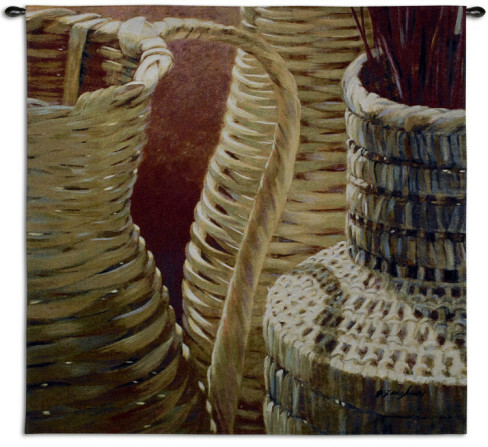 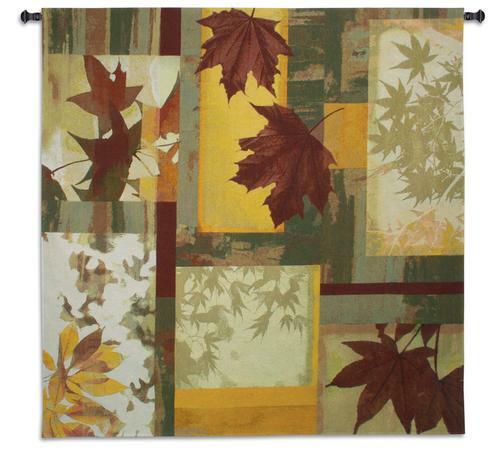 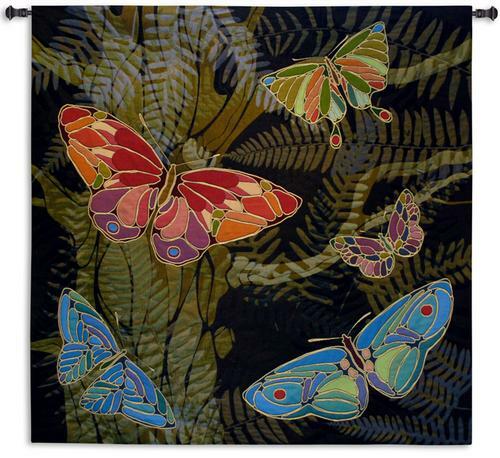 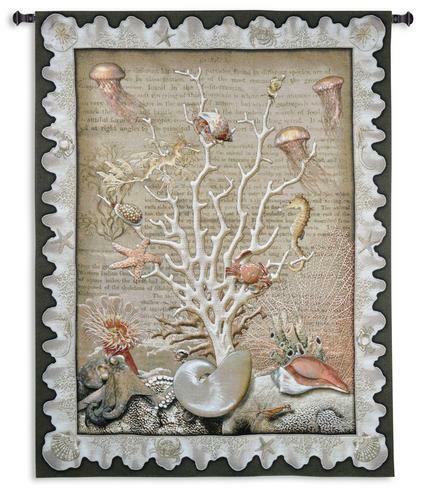 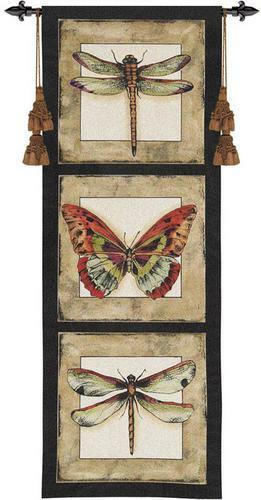 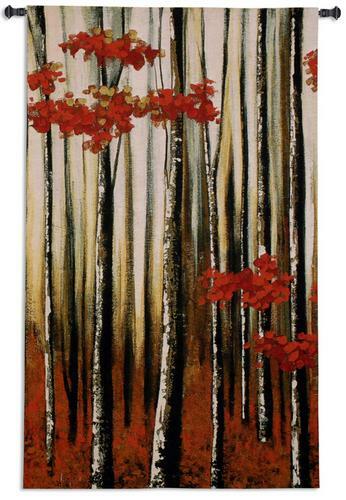 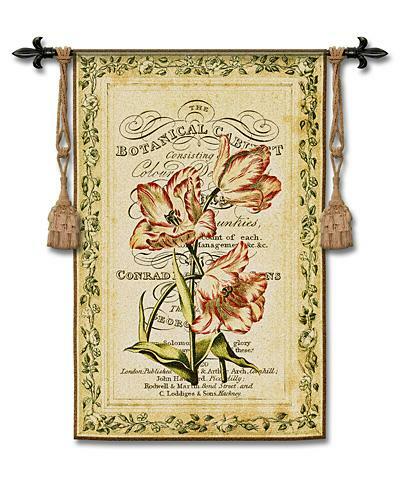 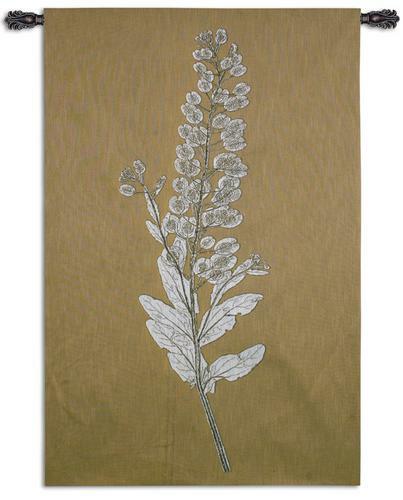 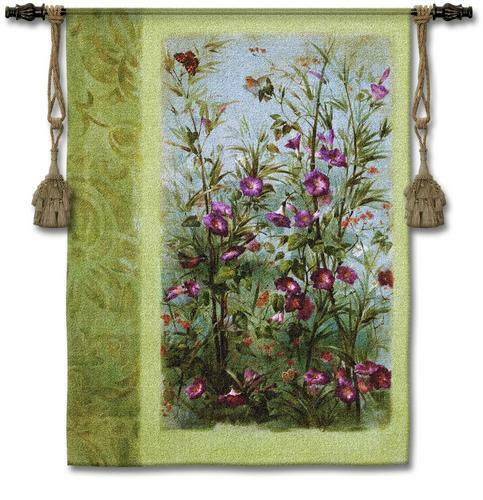 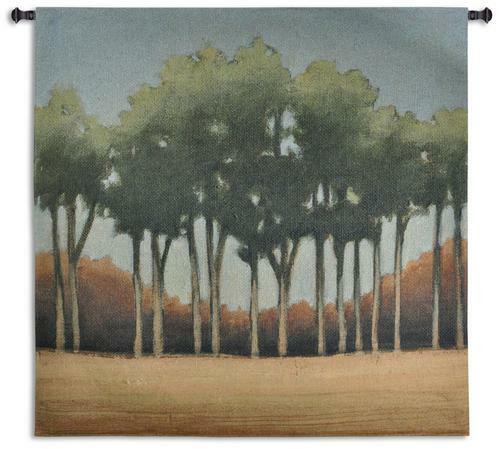 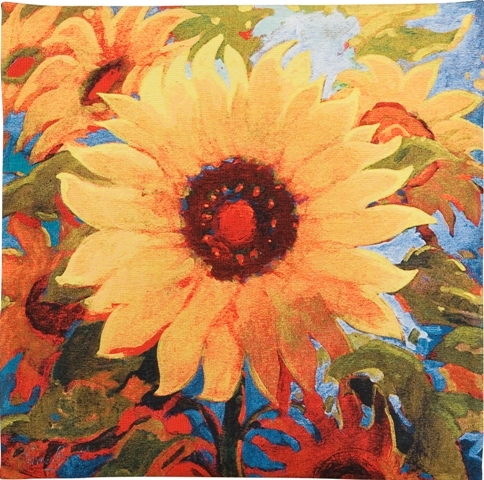 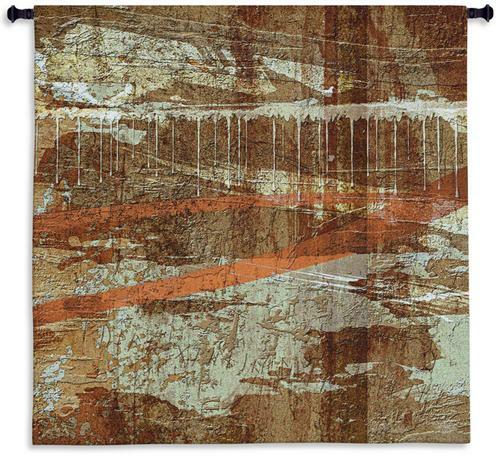 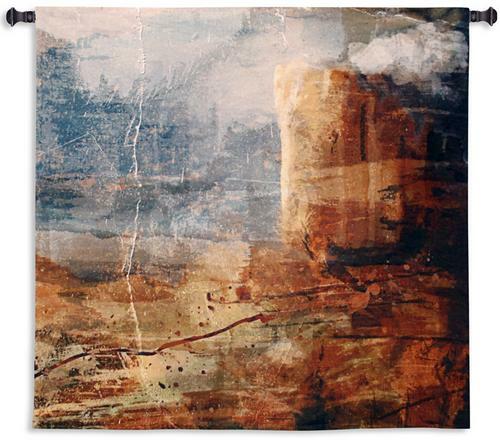 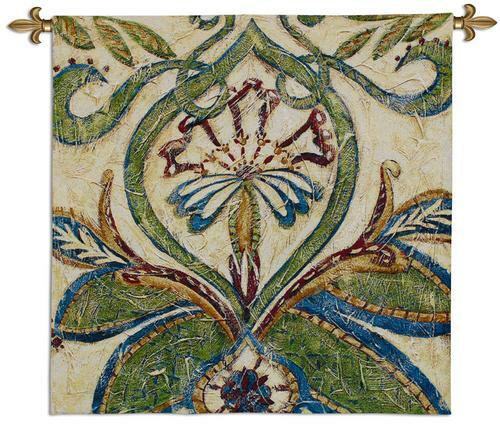 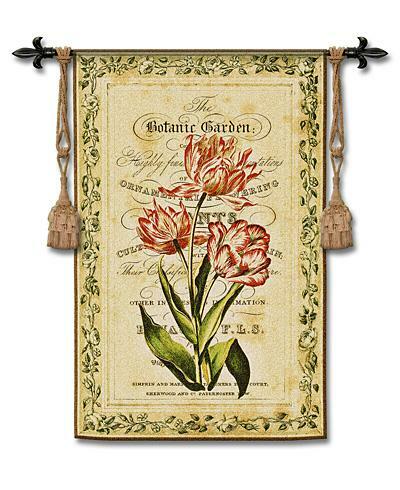 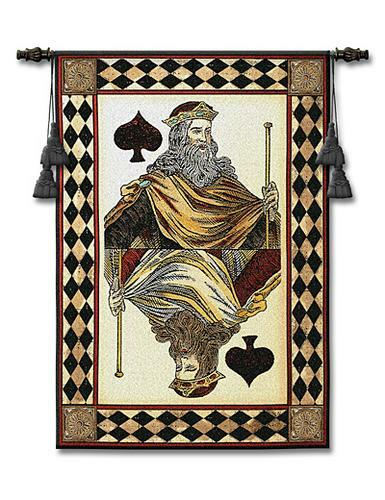 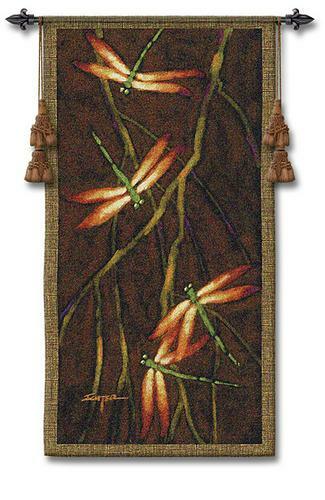 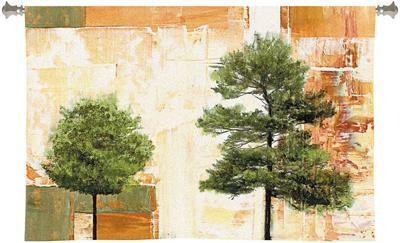 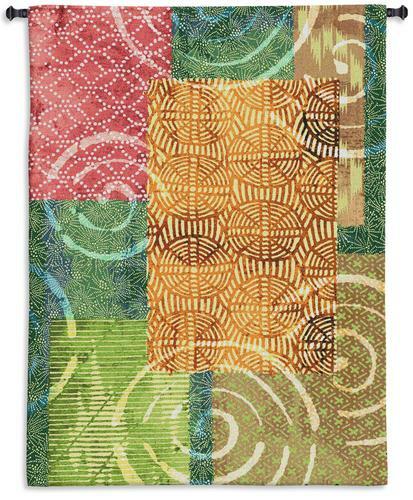 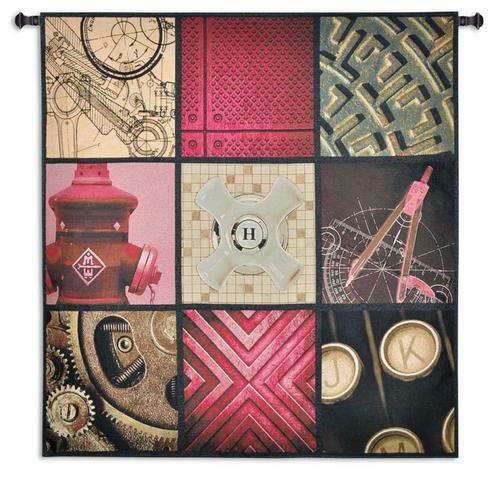 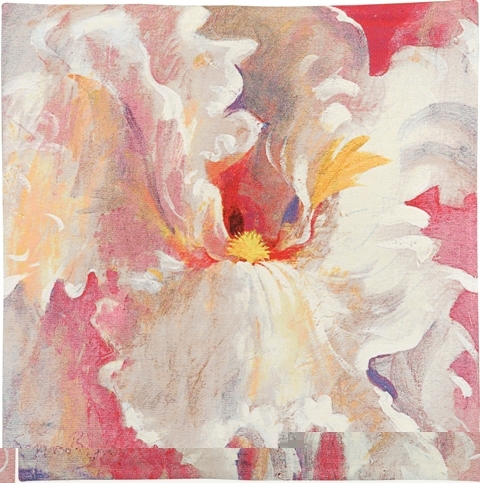 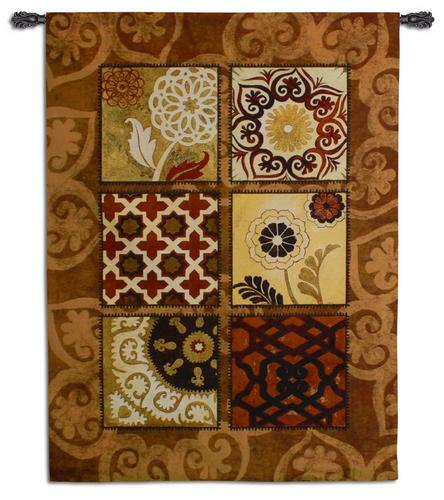 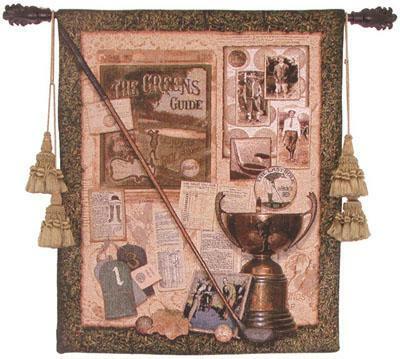 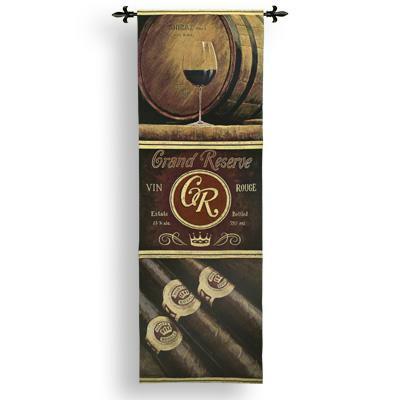 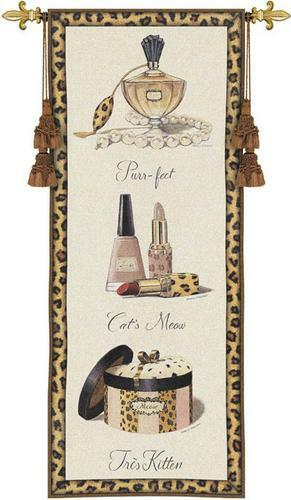 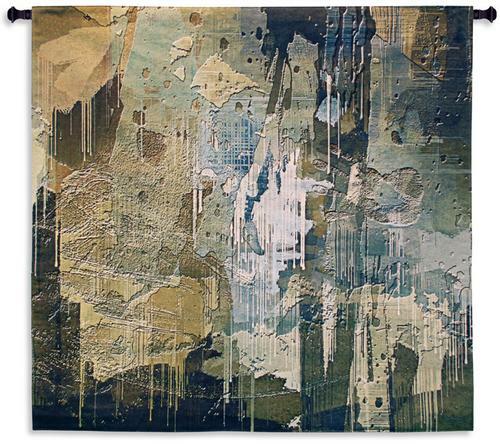 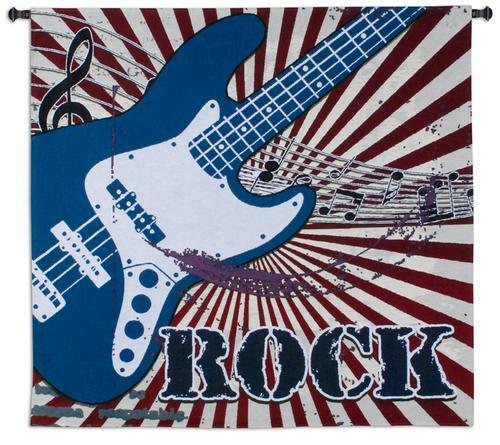 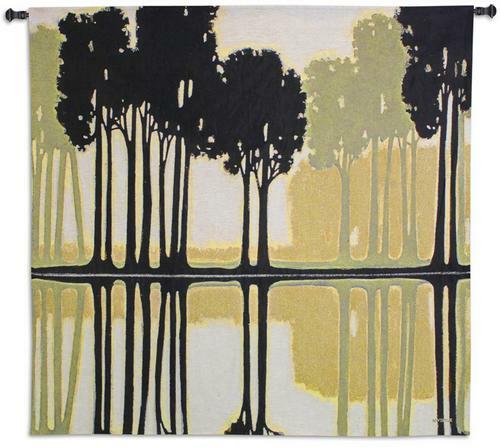 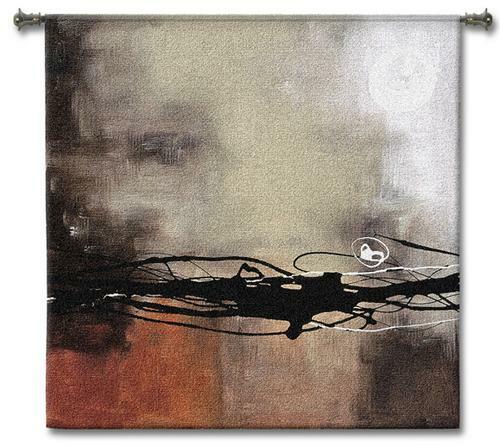 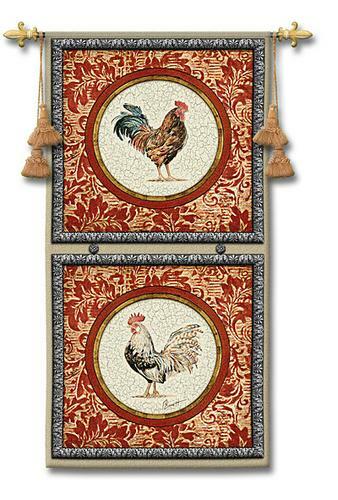 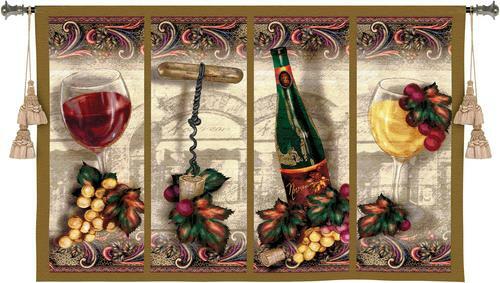 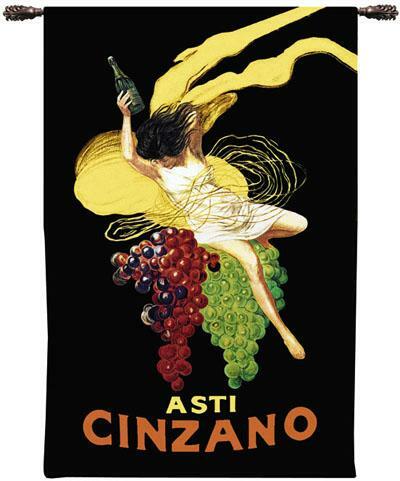 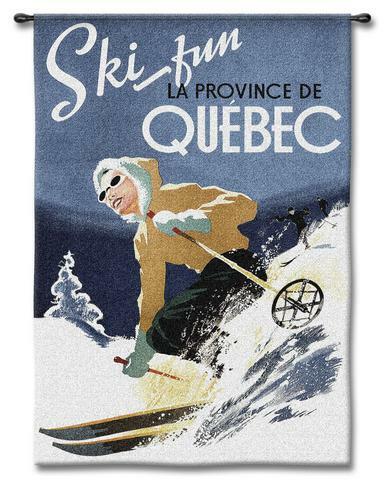 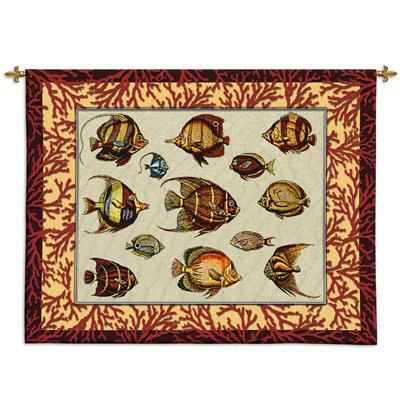 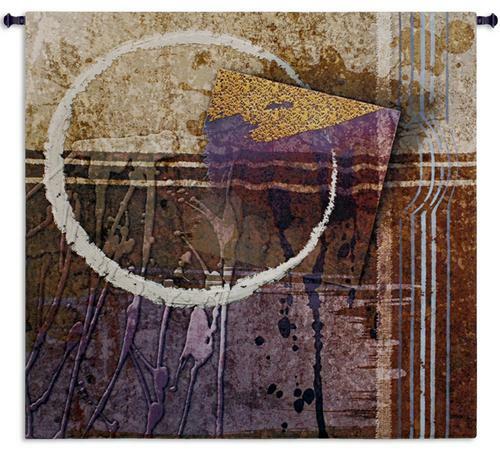 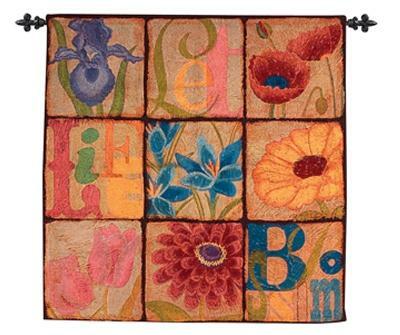 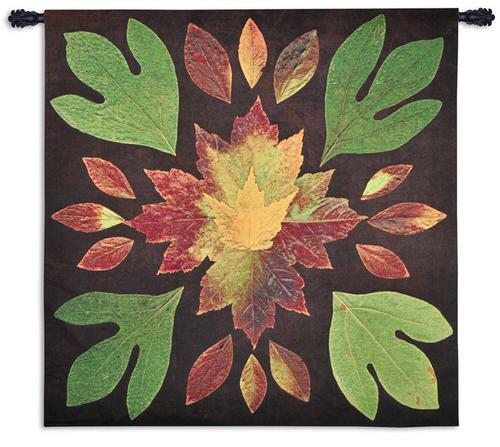 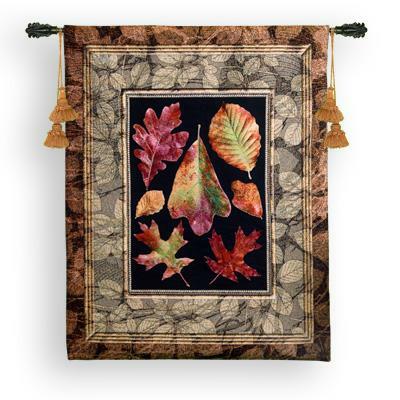 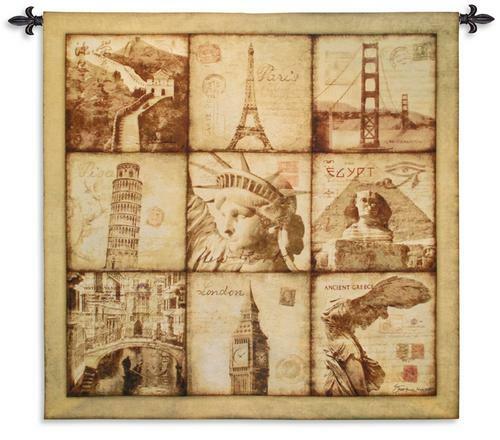 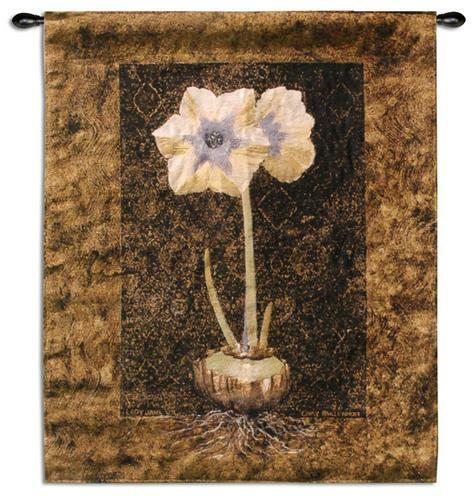 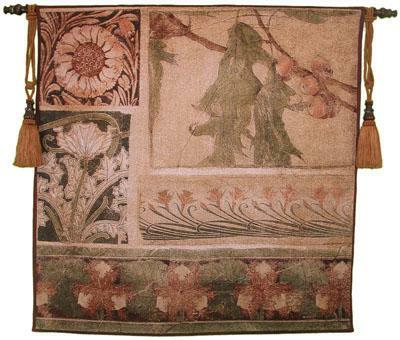 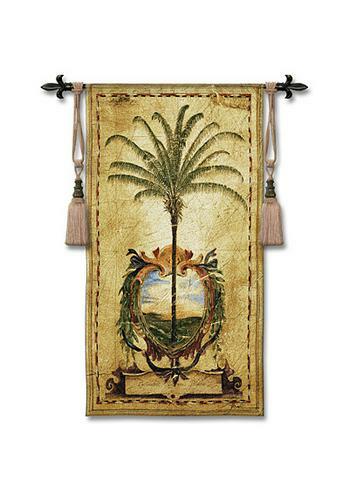 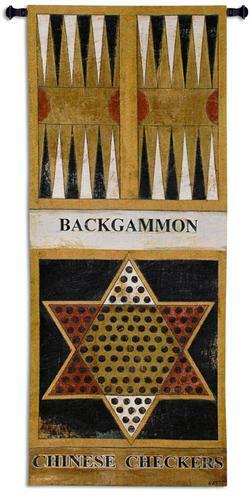 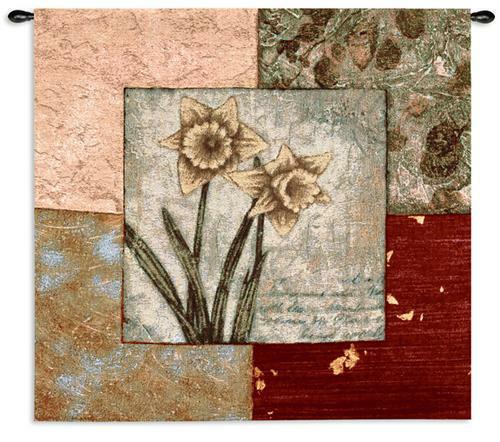 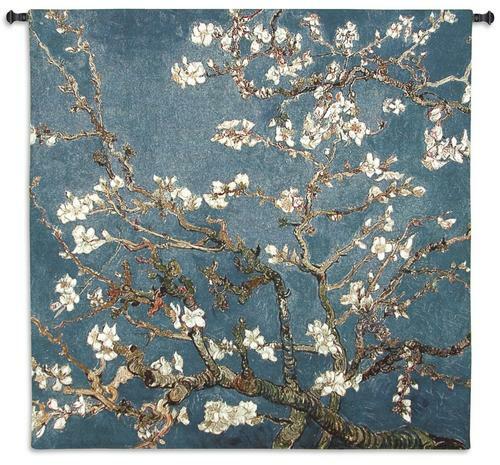 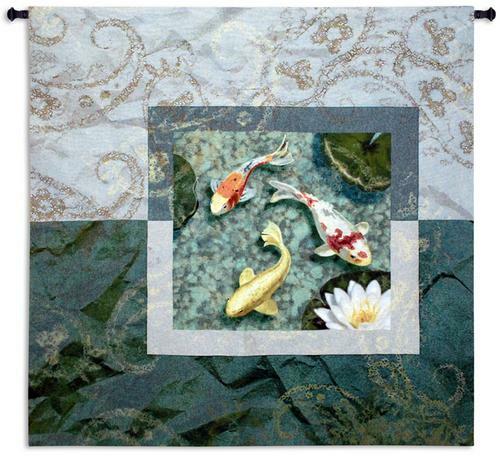 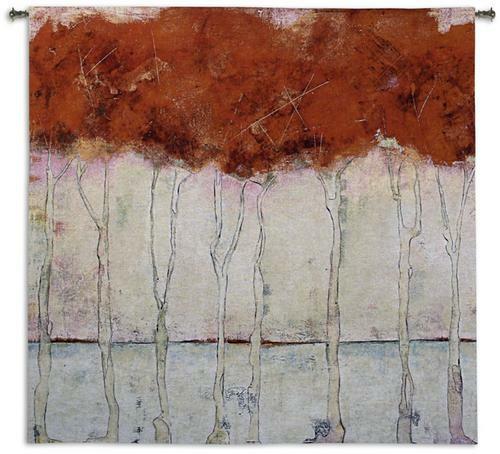 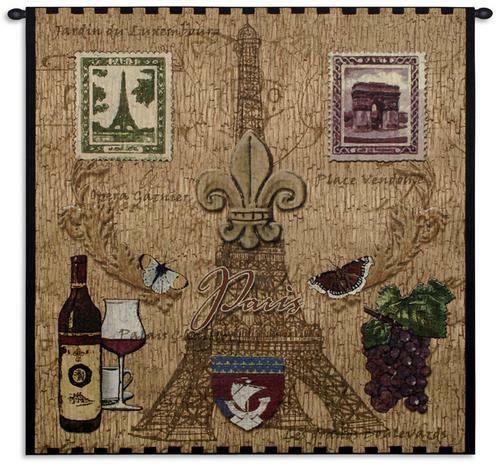 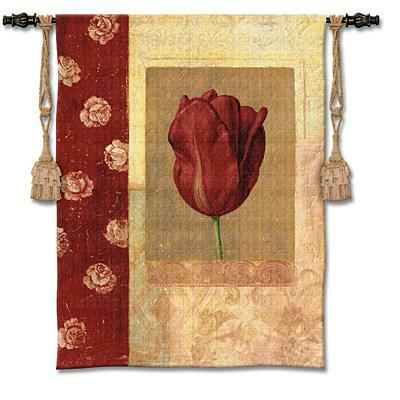 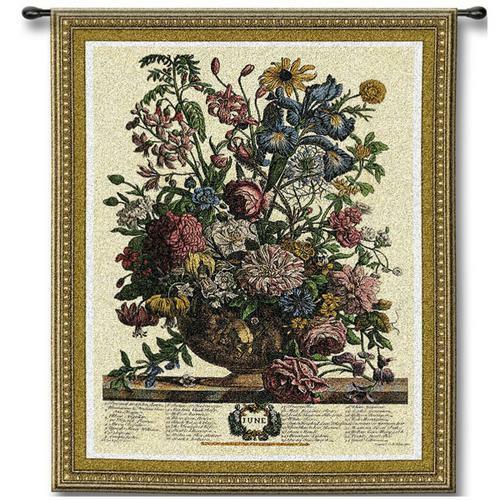 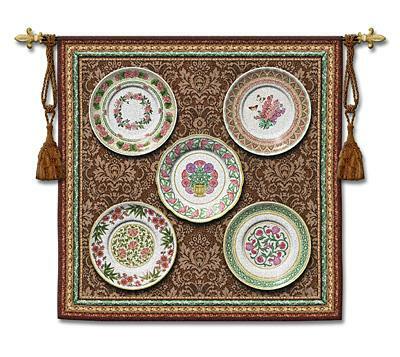 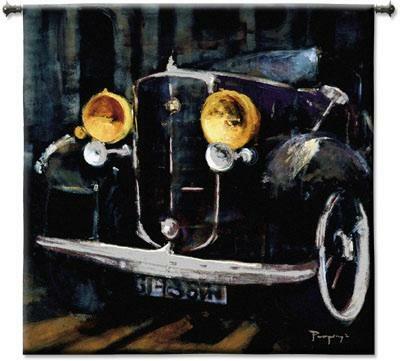 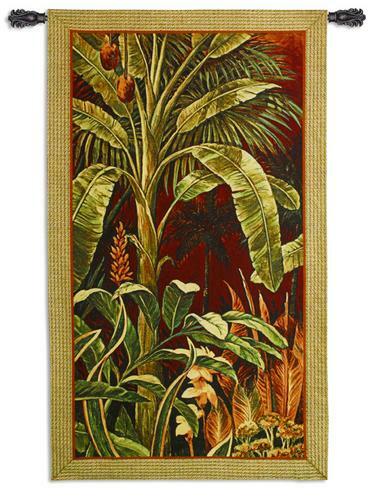 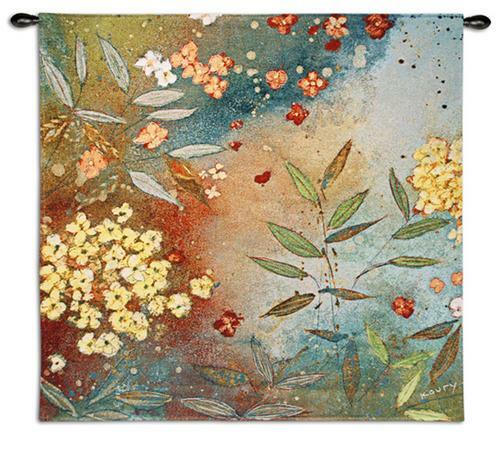 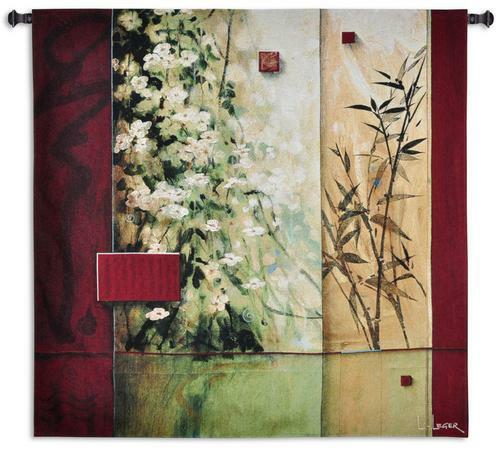 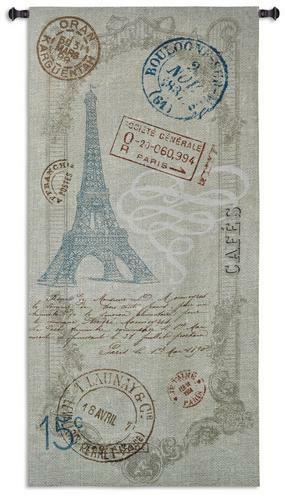 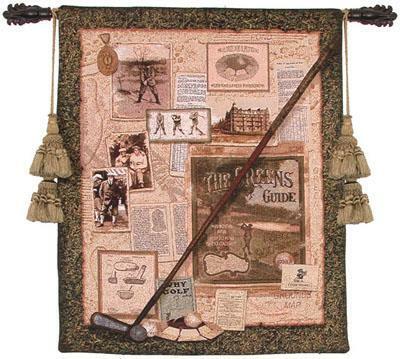 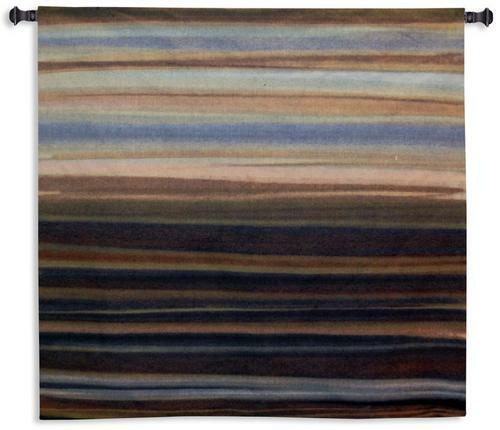 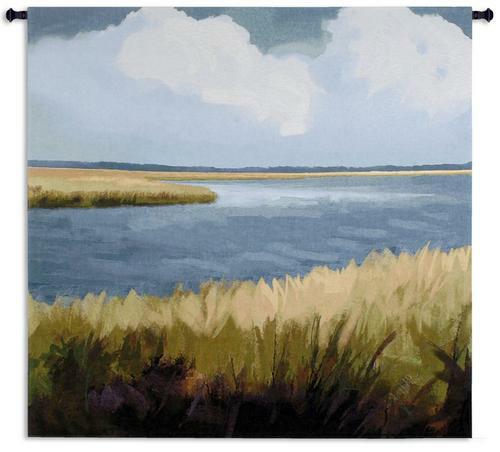 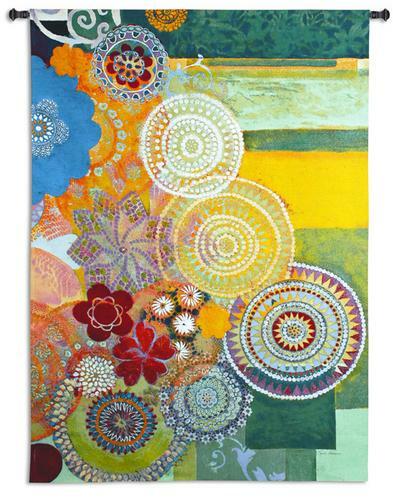 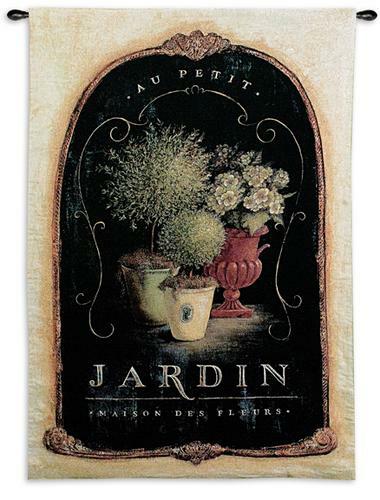 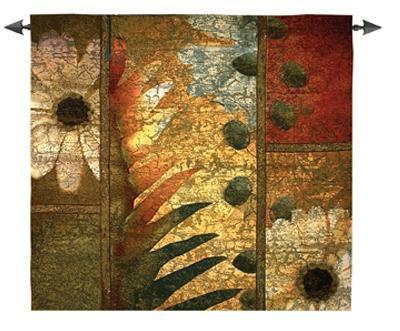 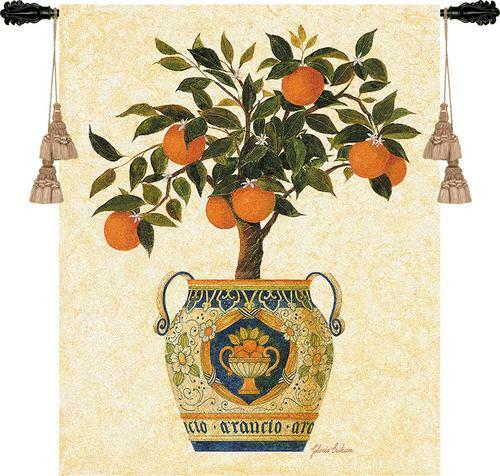 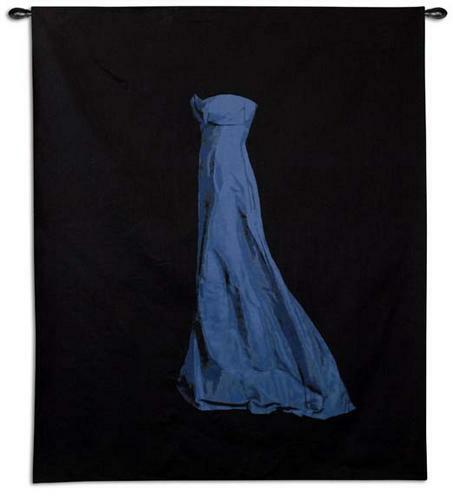 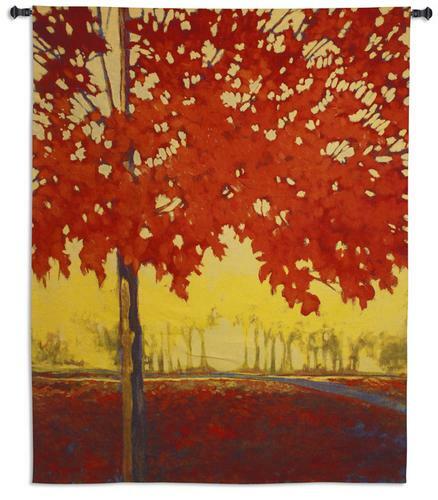 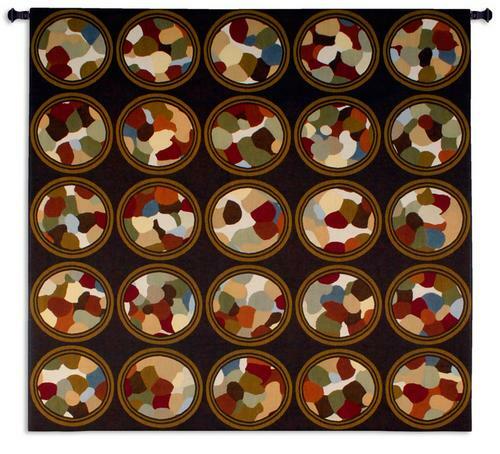 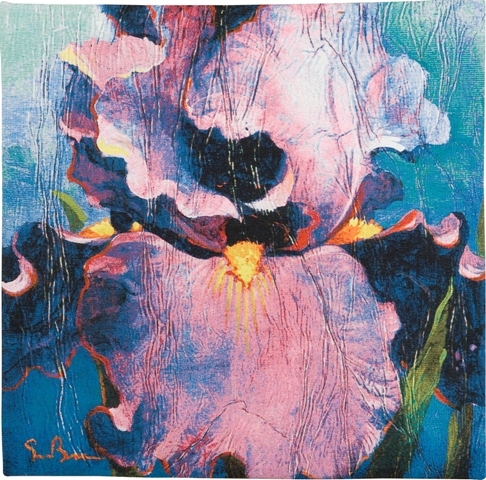 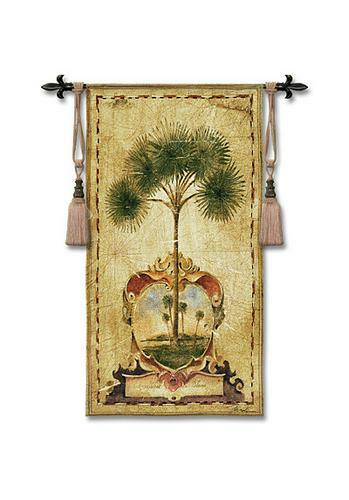 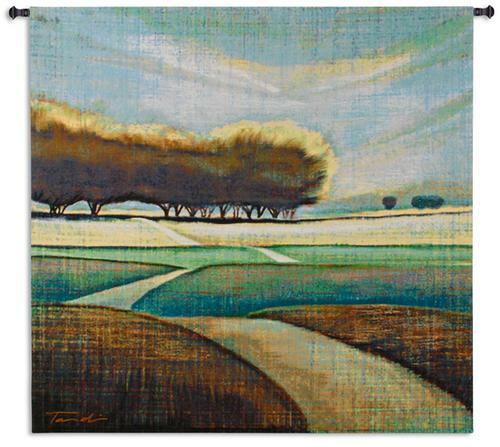 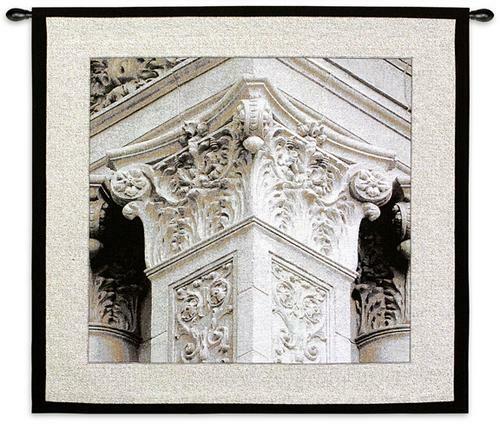 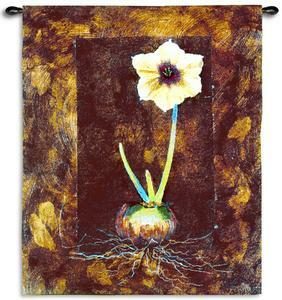 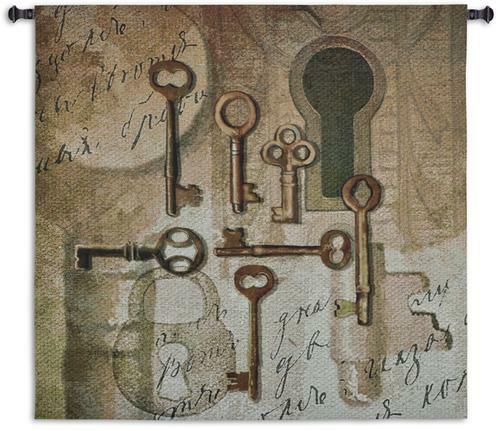 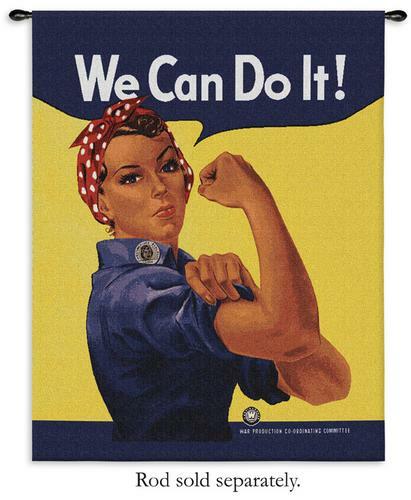 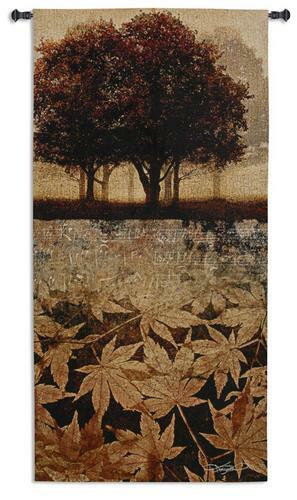 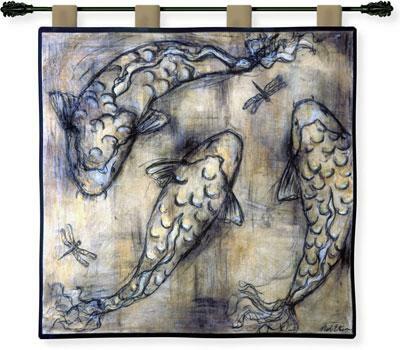 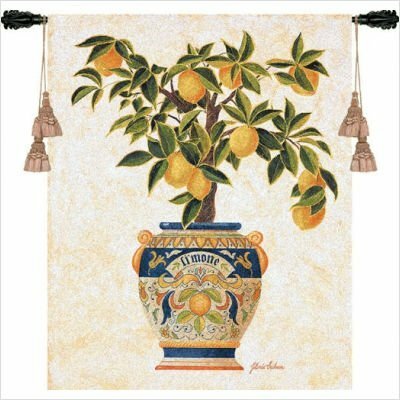 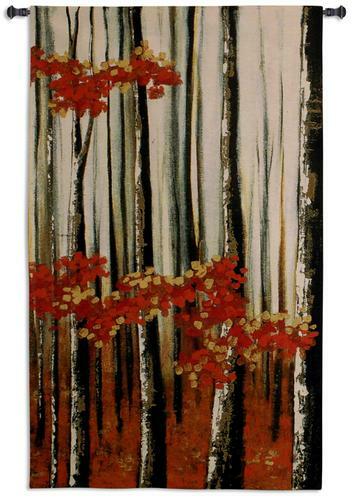 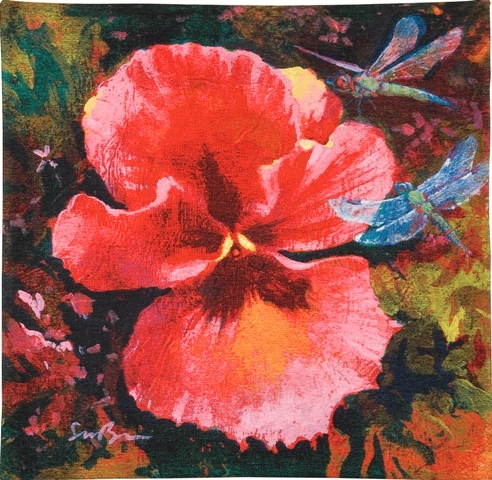 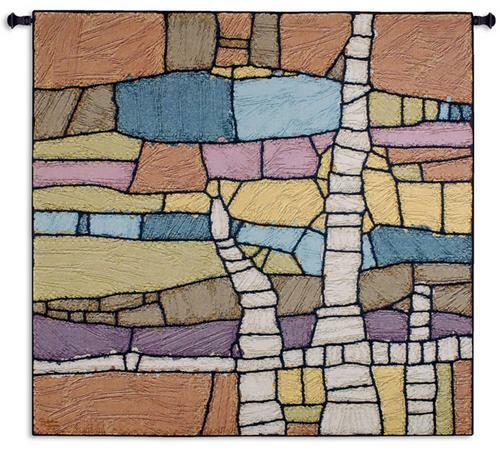 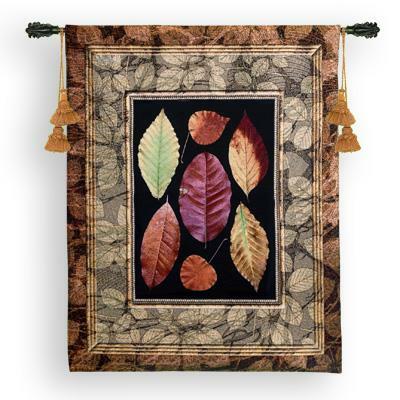 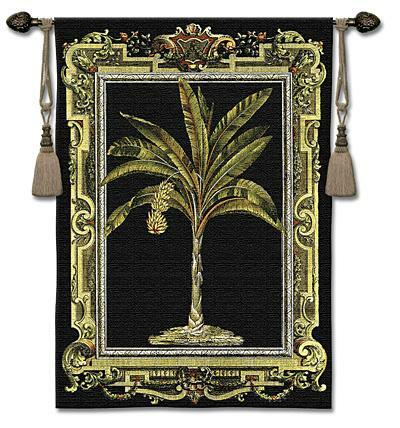 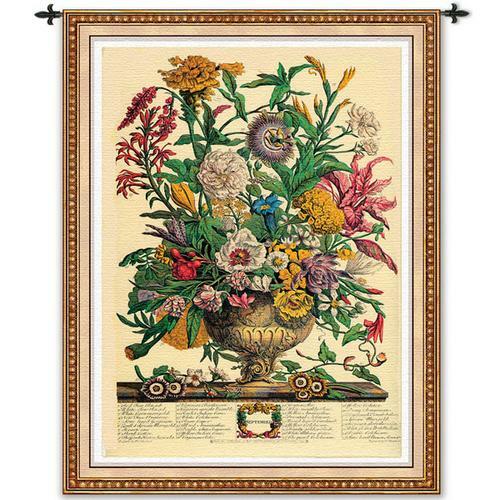 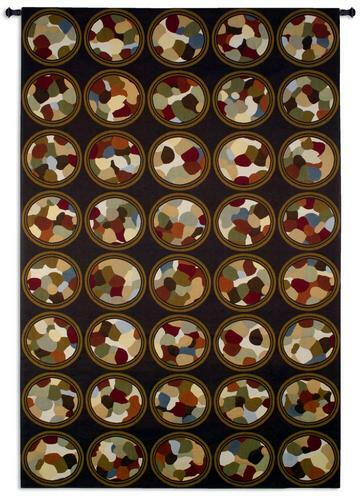 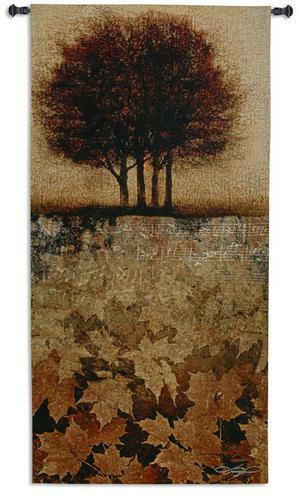 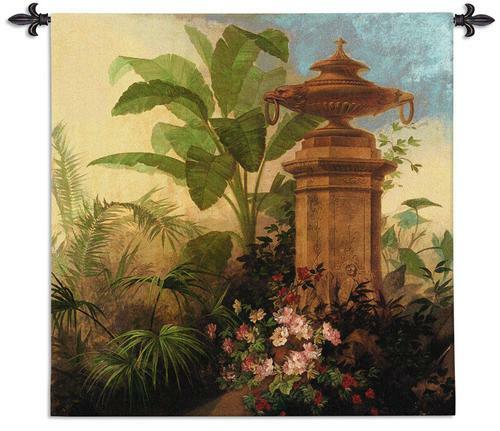 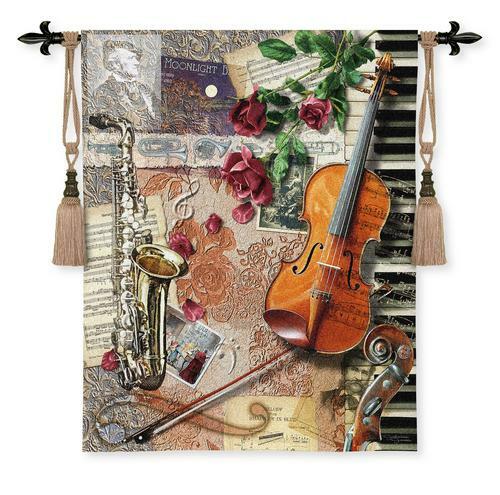 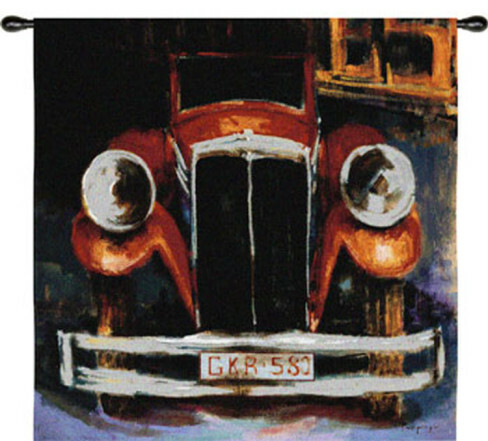 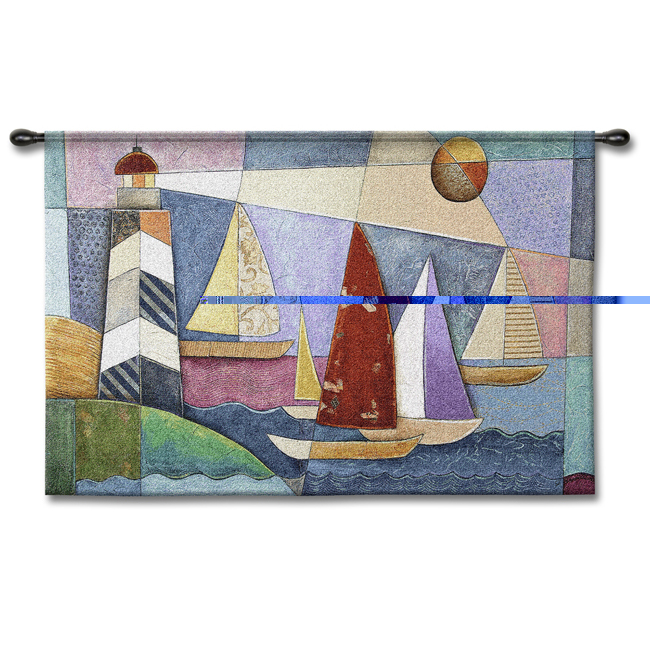 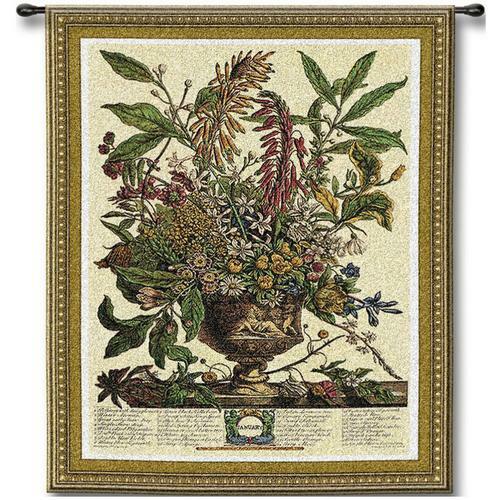 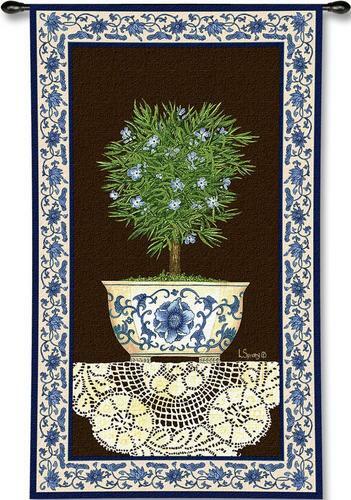 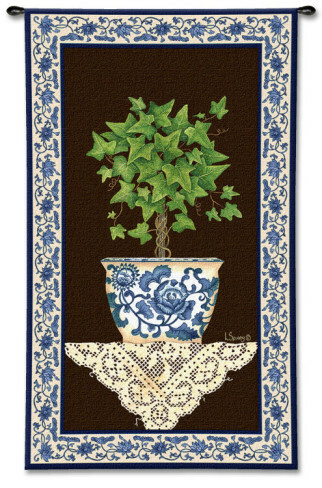 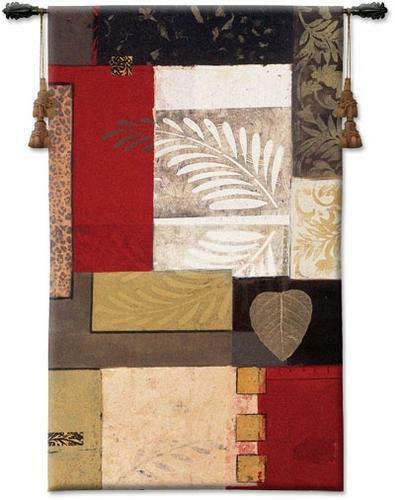 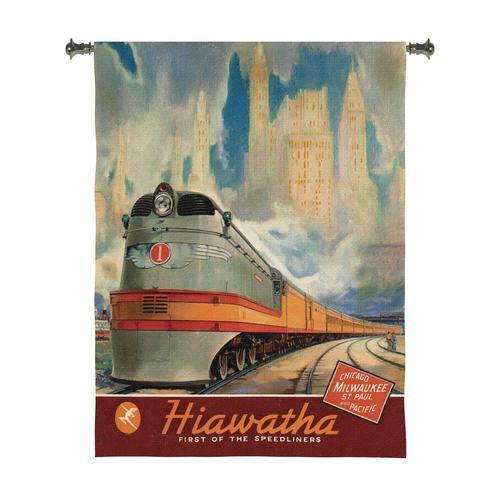 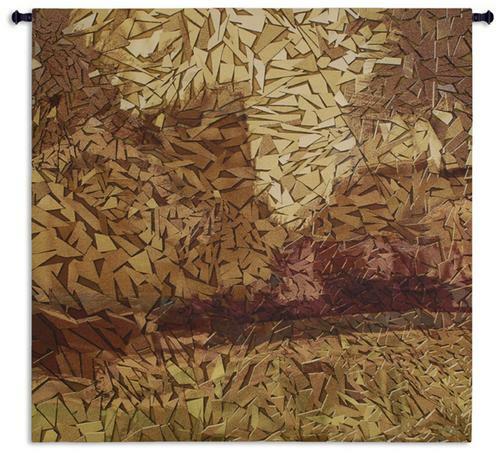 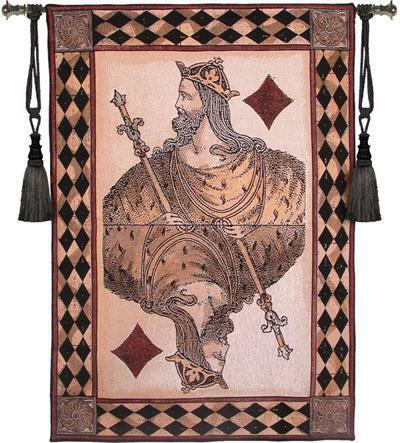 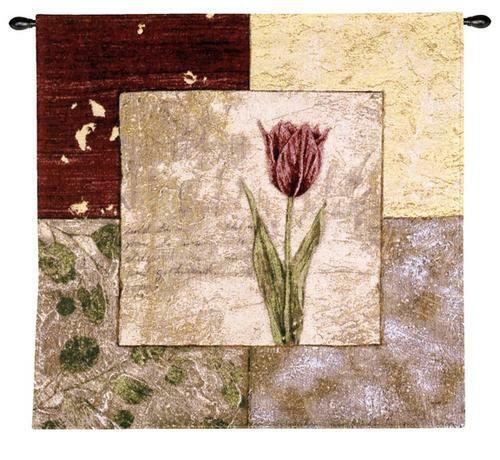 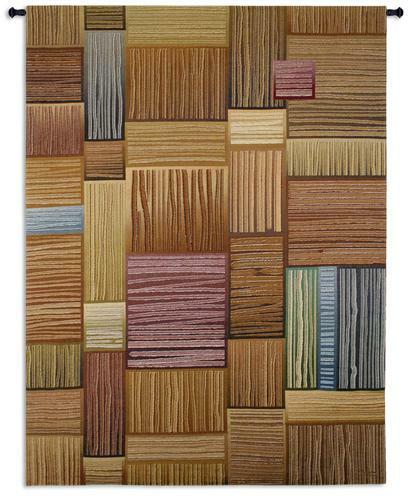 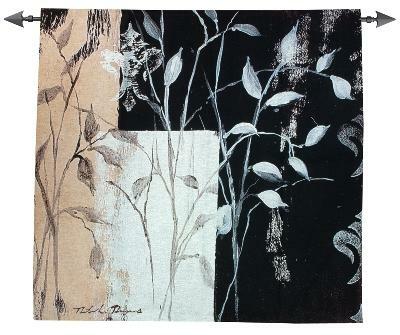 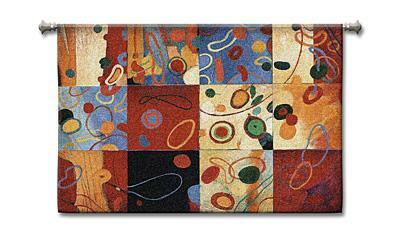 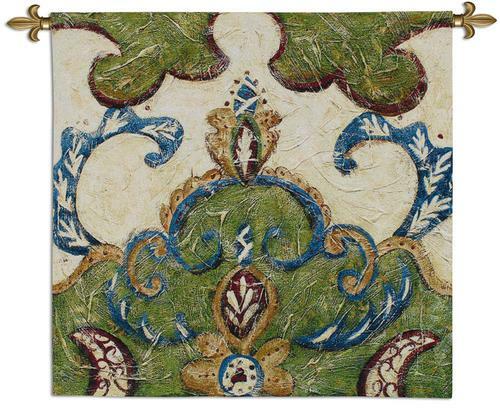 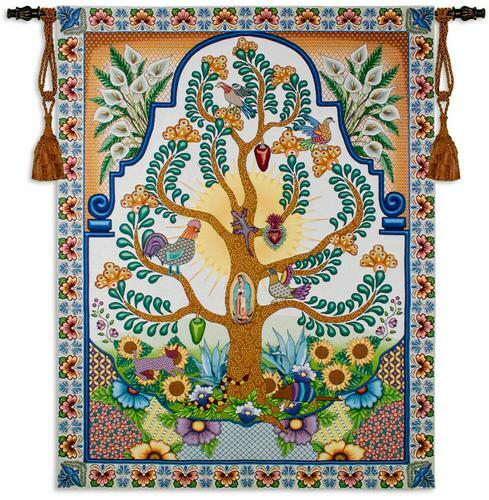 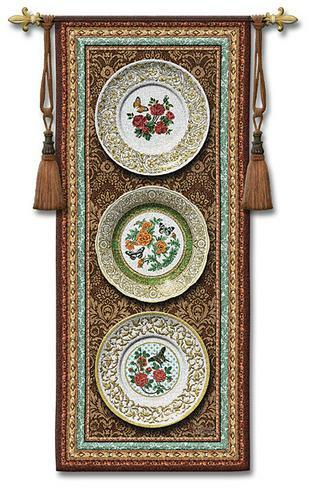 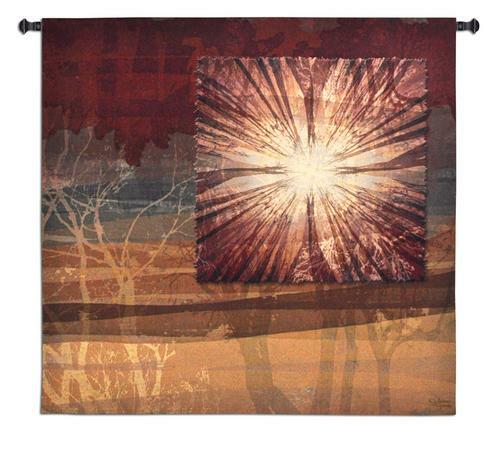 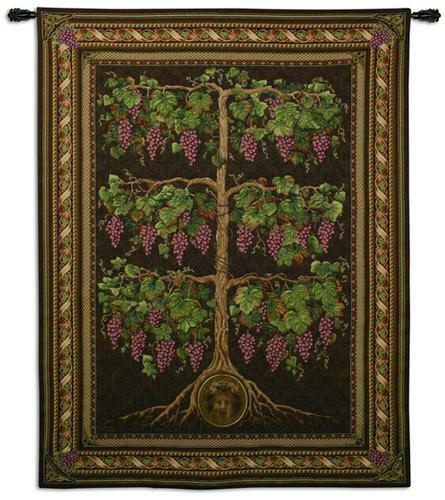 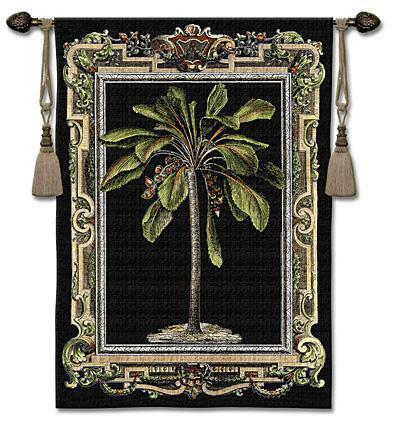 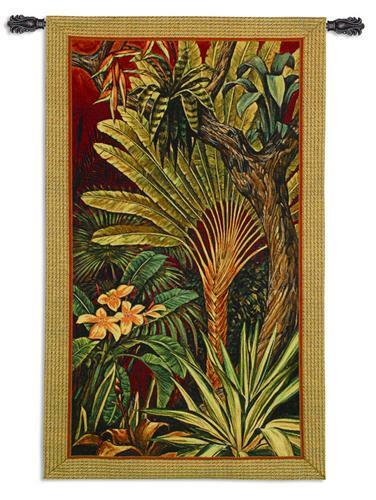 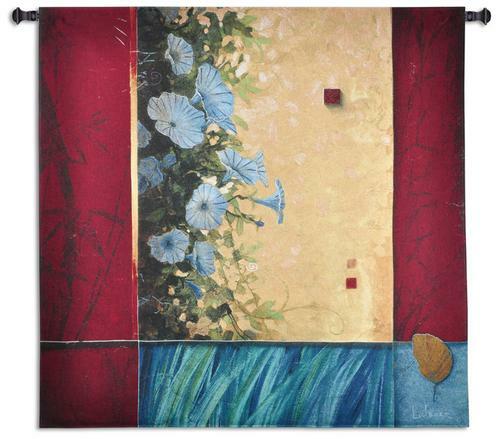 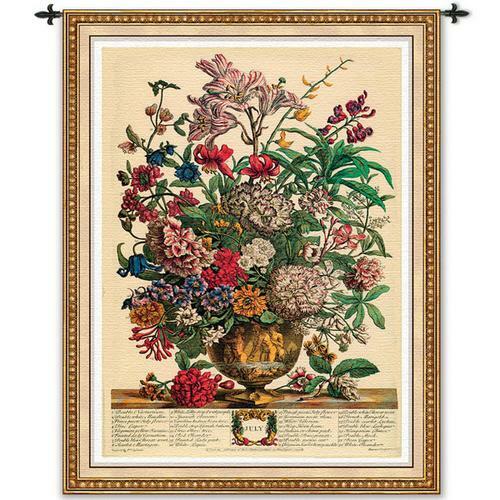 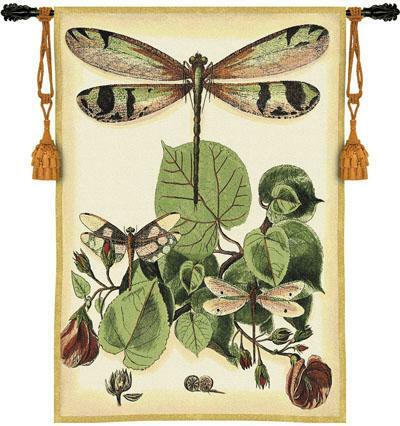 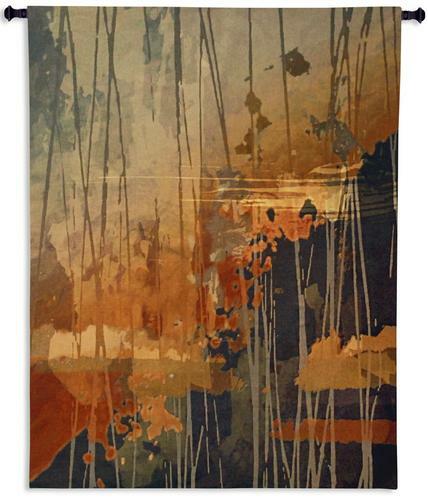 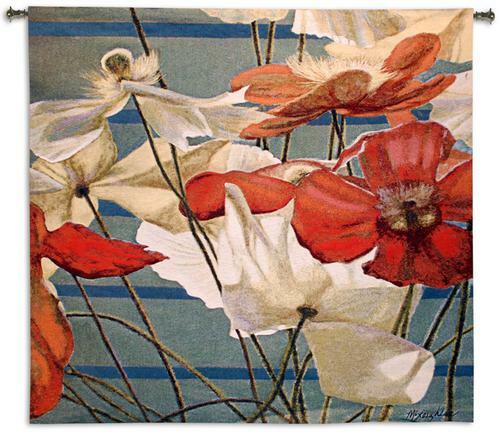 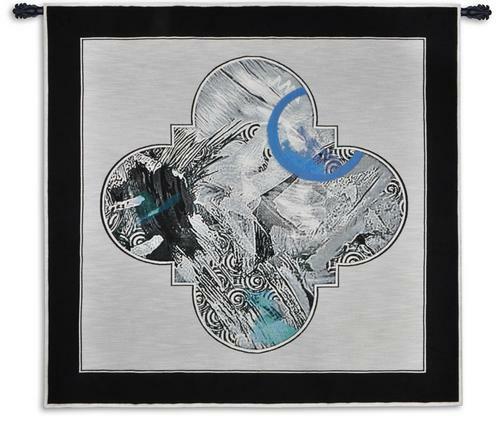 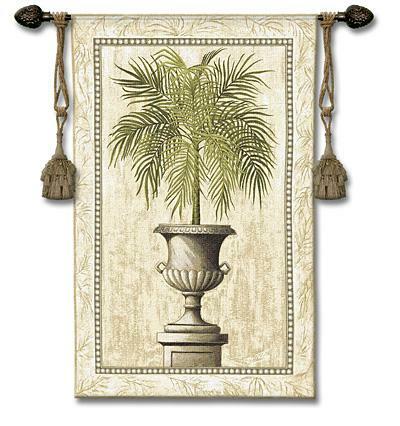 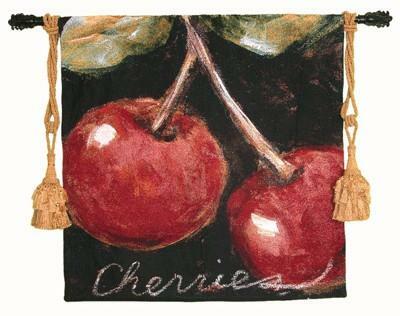 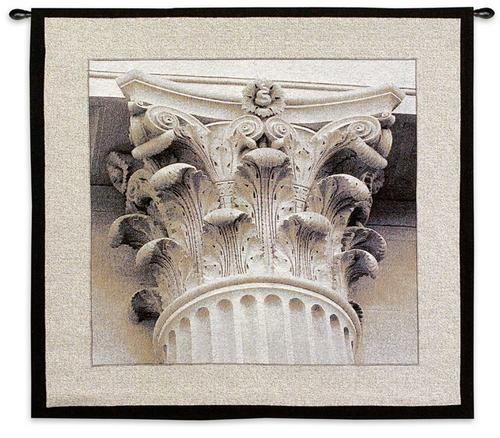 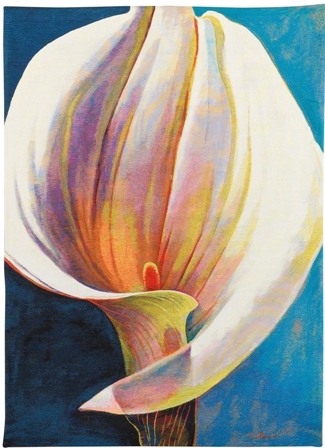 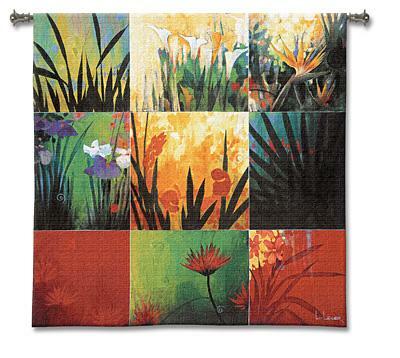 The styles and the subject matter used for contemporary tapestry wall hangings are culled from many sources and influences. 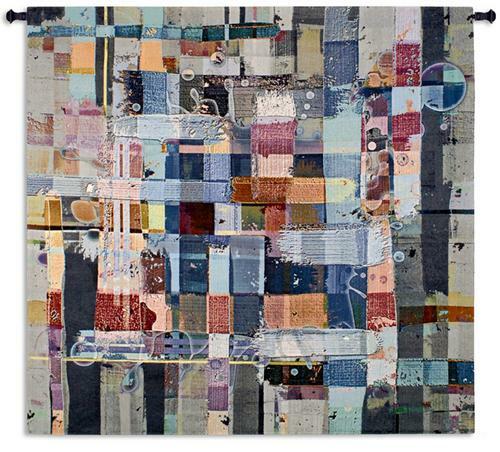 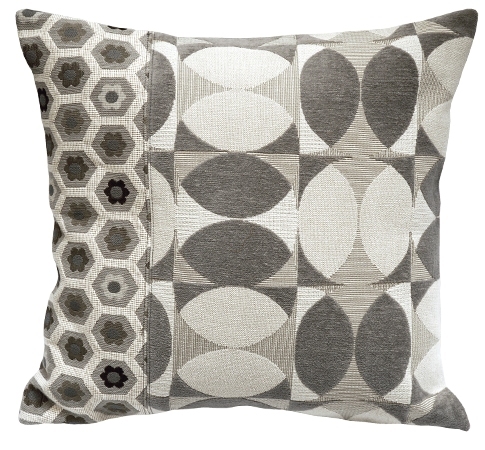 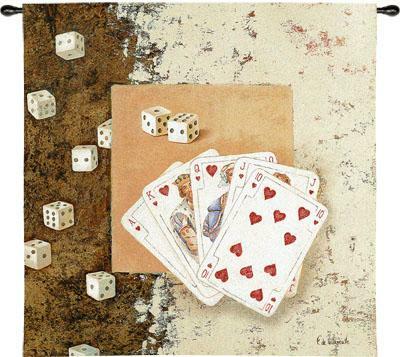 Inspiration is drawn from all ages and cultures, including tribal rugs, peasant embroideries, contemporary botanical art, geometric abstract designs, type and images from newspapers, photographic images, maps and motifs from the past. 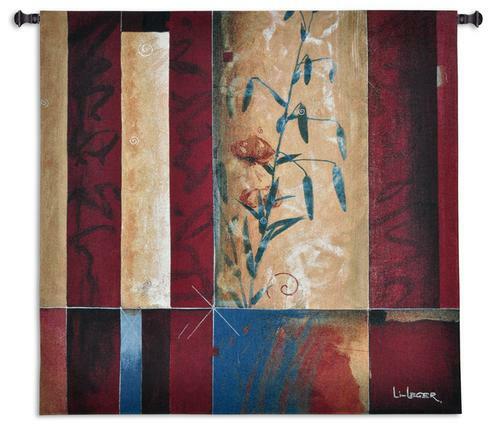 also available in size: H56" x W101"